Fair or not, disc golfers are a picky bunch. Whether it’s the weight, color, or plastic blend, choosing the correct disc can be more art than science, more cerebral than physical. As a result, it can make holiday shopping for the disc golfer in your life a bit daunting. Which is why I am here to help. Forget the plastic this year, and feast your senses upon the Noodle Arm Disc Golf Holiday Gift Guide! Instead of struggling over which disc to get your golfer, stock him or her up with any of these treats, and watch their eyes glow with delight as you sigh with relief over another successful holiday. Many thanks to the Noodle Arm readers who chimed in with suggestions for this list! ·Zippo hand warmer ($15-50 at Amazon) – For disc golfers in colder climates, those long days out on the course can get a little easier with this widely-suggested item. As opposed to the crack-and-shake handheld packages, this device runs on butane and is refillable, making it a long-term item. It is available in two sizes – one that boasts a six-hour heating time, and a larger one for 12-hour shifts – and even has markings on the lighter fluid reservoir that correspond with desired warming times. Disc golfers can toss it in a pocket and take it out for walks between holes, or when they have any downtime on the tee, to keep that grip strong. ·UDisc+ app ($3.99 on the App Store or Google Play) – This is more figurative stocking stuffer than literal, but the UDisc+ app is packed with features. From the basics (scorekeeping, course searching) to bonuses (GPS tracking of distances thrown, disc organizer), it’s a no-brainer. Just make sure to add the “+” when searching for the app, lest your golfer be left with the free version that does not offer full functionality. ·Scorecard clipboard ($4.99 at Dynamic Discs) – For the old school pencil-and-paper scorekeeping crowd, an acrylic scorecard holder is a must. Easily fitting into any variety of utility pockets on a disc golf bag, it’s an easy way to keep a scorecard tidy without having to find a bench or a back to write on every time your disc golfer cards a deuce. ·Gift certificate ($ Up to you) – This one is too easy. You still want to give your disc golfer some toys for their game, but don’t want to pick the wrong ones? Let the golfer do the choosing with a gift certificate to one of any of a number of disc golf retailers. You can go the local pro shop route if you have one, or hit up our friend Google for all of the various online sellers. Personally, I would recommend one of three outlets: Disc Golf Center, for its wide selection and free shipping; Infinite Discs, for its vast compendium of reviews and photos of every disc in stock; and Community Discs, for its excellent customer service and personal touch. ·Hydroflask ($25.99-36.99 at hydroflask.com or local sporting goods stores) – The vacuum-sealed hydration holder is not a new concept, but Hydroflask combines function, versatility, and style in a way that few other brands can pull off. 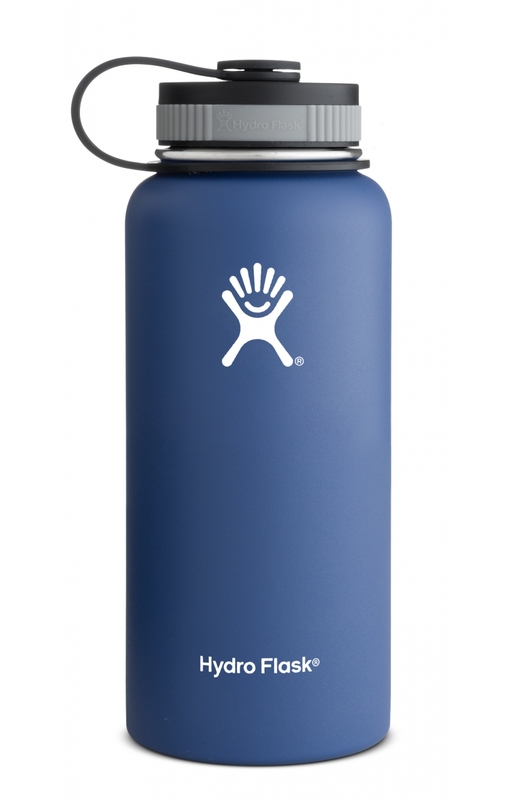 Available in an array of sizes and colors, a Hydroflask will keep your disc golfer’s cold beverages cold or hot beverages hot, all in a durable stainless steel package. And while a $30-plus water bottle that can’t be cleaned in the dishwasher might seem frivolous, I can personally attest to its quality. I have been using mine since September – after hearing friends and family rave about theirs for months – and have rarely touched any other water bottle. It is an excellent investment. I’ve found that the 32-oz. size will fit into most disc golf bag water bottle pockets, and have even seen the 40-oz. bottles on the course, too. Bonus tip: Add the $5 Hydro Flip cap for wide-mouth Hydroflask models for maximum drinking convenience. ·PDGA/Local Club membership (prices vary, PDGA.com) – Around the first of the year, I always tell myself to re-up my membership to the San Diego Aces, my local disc golf club. And every year, I end up finding something else – Frisbees, mostly – to spend the money on. Finally, April rolls around and – whoops! – I’m just now getting around to renewing my membership. Don’t let your disc golfer be like me. Give them the gift of club membership or a PDGA membership and make sure they are set on January 1. A quick Google search or a trip to the local disc golf course should help you track down information about your local club, and the PDGA website has all the details on their membership system. 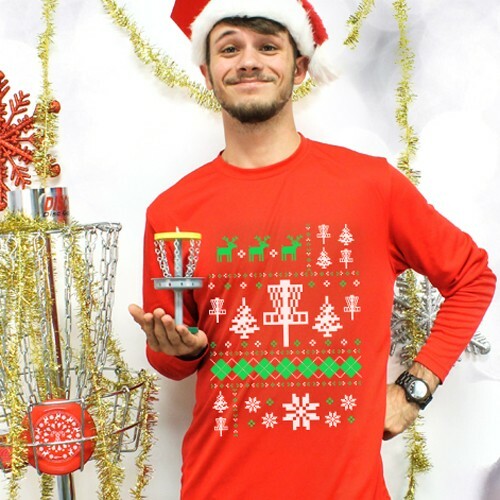 ·Disc Golf Ugly Sweater dri-fit ($14.95 at DiscStore.com; use coupon code NOODLE15 for bonus savings) – The ugly sweater is one of my favorite holiday traditions, and Mrs. Noodle Arm took her game up a notch by getting me this amazing disc golf ugly sweater to wear this season. It’s a fun way to show your holiday spirit and your love of disc golf, while also not being afraid to make fun of yourself a little. 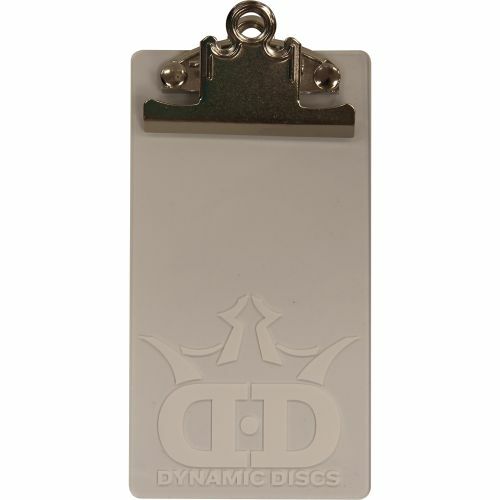 And the fine folks at DiscStore.com have hooked it up with a coupon code for Noodle Arm Disc Golf readers, so there is really no excuse for this to not end up under the tree. ·Year-round disc golf apparel (various retailers) – Your disc golfer doesn’t need to show off his or her love of the sport only at the holidays, though. In fact, I’ve found that disc golf shirts and other apparel make for great conversation starters, and that disc golfers love clothing as a way to help push the sport toward the mainstream. 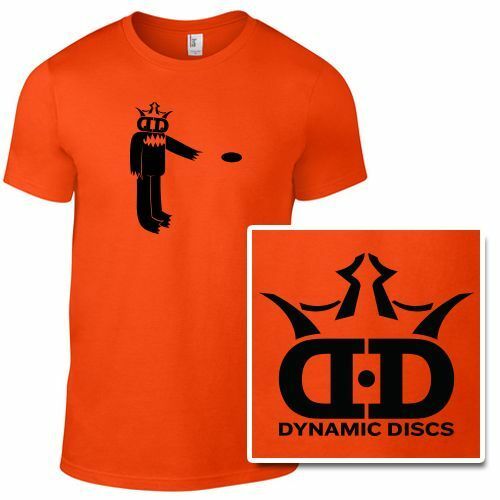 Dynamic Discs, in my opinion, is your one-stop shop for apparel, as the company blends current stylings with affordability. A favorite for the more understated crowd is DGA, whose sleek basket logo gets the point across without doing it too loudly. ·Practice basket (starting at $120, various retailers) – Nothing says you love your disc golfer more than shaming him or her into practicing putting. Sure, you may not see them for long stretches at a time while they toil away on the basket, but the improvement in their game will make for better moods when they get home, so everyone wins. There are a million practice baskets on the market, so I can’t vouch for all of them. My DGA M-14 has held up outdoors for nearly four years now, though, and it’s affordable. Most manufacturers have a similar option, so do a little sleuthing to find your disc golfer’s brand allegiance and have at it. ·DyeMax Custom Disc ($8.99-29.99 at Dynamic Discs) – Looking for the “Awwwwwwwww” moment that might make your disc golfer a little emotional? Of course you are, because everyone knows that whoever invokes the most happy tears wins the holidays. And those happy tears are ready to well up with a custom disc made by Dynamic Discs’ DyeMax process. Here’s how it works: Pick a disc model, then upload a photo for Dynamic to print on it with its proprietary, long-lasting process. They won’t do copyrighted sports team logos or characters (although they do stock an impressive selection of Marvel superheroes and local college teams), but a touching family photo or another image that means a lot to you and your family is fair game. It’s a thoughtful, personal touch that can be carried to the course or hung on the wall. ·Cam Todd disc golf prints (starting at $25 at Cam Todd Productions) – I saved my favorite gift in this guide for last. Professional disc golfer Cam Todd isn’t just a former World Champion; he’s also a tremendous artist. With unique prints that capture the spirit of a flying disc and some iconic courses, hanging one of these in a home or office dresses it up without going over the top.